A California mother was shot to death while driving with her two young children to day care Tuesday morning. According to CBS News, a $2 million warrant has been issued for the arrest of Dushan McBride, 43, of San Pablo, Calif., the estranged boyfriend of the victim, Rashanda Franklin. Franklin was found wounded behind the steering wheel and died on the scene. Her two sons, both under age 10, were not harmed in the incident, Richmond Police Lt. Felix Tan confirmed. Tan said that the police had been called before to deal with domestic violence situations involving the couple, but declined to give any other details. Franklin reportedly drove around the area trying to avoid McBride, but when she stopped at an intersection, he drove his car in front of hers and stopped, according to police. Surveillance footage from a camera at a home near the scene showed McBride getting out of his vehicle, walking up to Franklin’s SUV, and then walking back to his car and driving away. Police say that after an argument, McBride shot Franklin in the chest as her children watched. The children are now said to be with family members. Franklin’s mother, Barbara Harris, said that her daughter’s relationship with McBride went bad and Franklin had called off the relationship, and he began stalking her. “I guess he didn’t want to let her go. 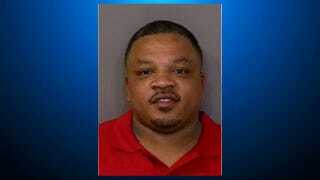 And apparently he decided to gun my child down,” the grieving mother told the San Francisco Chronicle. Authorities are still looking for McBride, who is described as 5 feet 9 inches tall, 225 pounds, with black hair and brown eyes. He drives a 2007 silver four-door Mercedes-Benz S550 with paper plates. Anyone with information about the suspect is asked not to approach him but instead to call 911 or 510-621-1259. Read more at CBS and the San Francisco Chronicle.